economy, solitude and society, nature, and politics--Cafaro shows Thoreau developing a comprehensive virtue ethics, less based in ancient philosophy than many recent efforts and more grounded in modern life and experience. 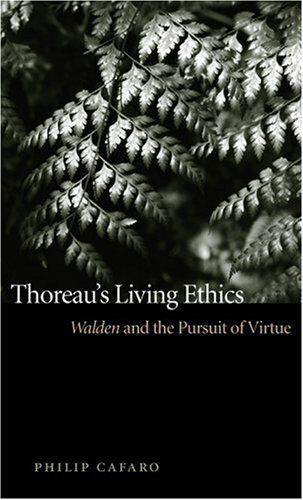 He presents Thoreau's evolutionary, experimental ethics as superior to the more static foundational efforts of current virtue ethicists.Another main focus is Thoreau's environmental ethics. The book shows Thoreau not only anticipating recent arguments for wild nature's intrinsic value, but also demonstrating how a personal connection to nature furthers self-development, moral character, knowledge, and creativity. Thoreau's life and writings, argues Cafaro, present a positive, life-affirming environmental ethics, combining respect and restraint with an appreciation for human possibilities for flourishing within nature. Philip Cafaro is professor of philosophy and an affiliated faculty member in the School of Global Environmental Sustainability at Colorado State University. He is the author of Thoreau's Living Ethics: Walden and the Pursuit of Virtue and coeditor of Life on the Brink: Environmentalists Confront Overpopulation.